Unless if you have excess money needing to be spent, I found 14 bucks a month too expensive. Especially considering the plethora of youtubers who have similar videos for “free”. Stretches were good though! I started a free trial and signed up as a member. Every day had a shorty 12-13 minute option even if the main video was a little or a lot longer. But a week or two ago, things changed. All days are closer to 20 minutes and the short option is no longer provided. Unfortunately I don’t have time for that so I’ll be dropping my subscription at the end of my current month. Not much good if you can’t sign up. Completed the form three times and can’t get a response when I hit “sign up”. Deinstalled. I have tried multiple times to sign up using the app and it doesn’t work. No error messages are displayed, it just won’t let me move beyond the sign up page. This is an old style iphone app designed for iphone only. It runs on an ipad in portrait only mode with small screen image. You can use the ipad screen expansion to force it to fill the screen better, but its certainly not friendly turned on its side while trying to use an ipad with external keyboard. I also get repeated error messages as I switch modes in the app. The error messages asks me to sign in, when I am already signed in. The other complaint is fundamental to the maintenance of links - many of the referenced helped videos are just place holders on the screen - there is no video actually there. 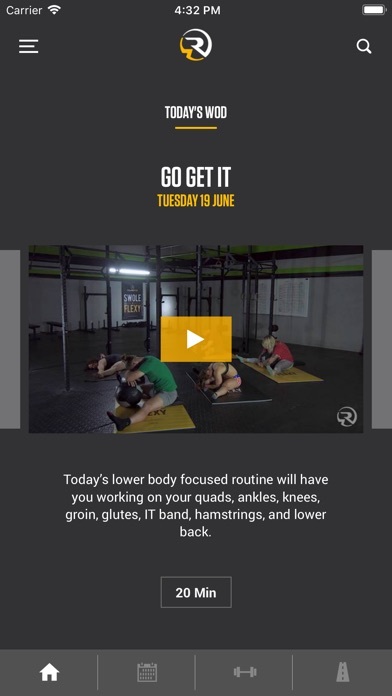 The actual workout videos and help videos that exist are excellent - its just an unfinished, premature rollout. I spent a lot of time sending detailed email with screen captures to one of the owners who asked me for it and they never responded. Update: using new ipad version on ipad pro 10.5" 1/18/2018 Look and feel much improved and real ipad app - 5 stars Bugs and functions not working - 1 star Error messages reported above still with us, even though developement said they would get right on it 5 months ago. dowload not working adding to favorites not working. Thank you for delivering this awesome app. I’ve seen great results by following your programs. 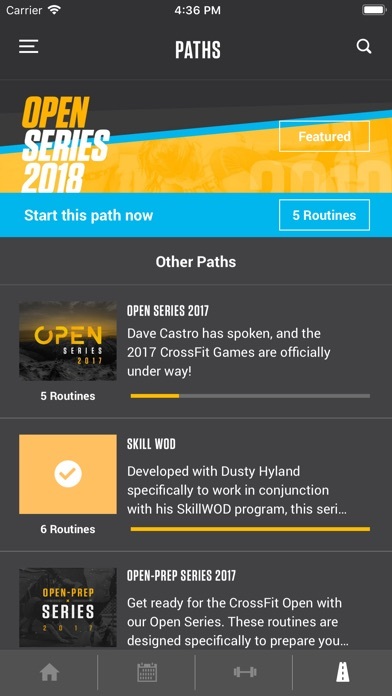 SUGGESTION: To take this app to the next level, release a way to track workouts per week/month to encourage progress and provide stats! This is what I’ve been wishing for since I started using ROMWOD 3 years ago. Playback is smooth, organization with list of movements and suggested optional Equipment is great, and best of all - offline play! Thanks so much! Nice to be in app form! Works like the website but more fluid. I haven’t had the opportunity to try it offline yet. What the heck. An iPhone only version in 2018 (nearly 2019) is ridiculous. The experience on an iPad is awful and not worth downloading. Huge disappointment. I was waiting for this app for a long time and I love it! My only issue is that the videos often cut out and you spend the majority of the session looking at a black screen. For a veteran ROMWOD user, it’s less of a big deal, as you’d likely know the movements without seeing them. But, a brand new person would be totally lost. Once this is corrected, it’s a 5-star app for sure!